Photos taken at Middlesex Fells on June 14, 2008. 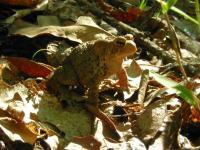 For more (non-froggy) photos from this hike, go here. 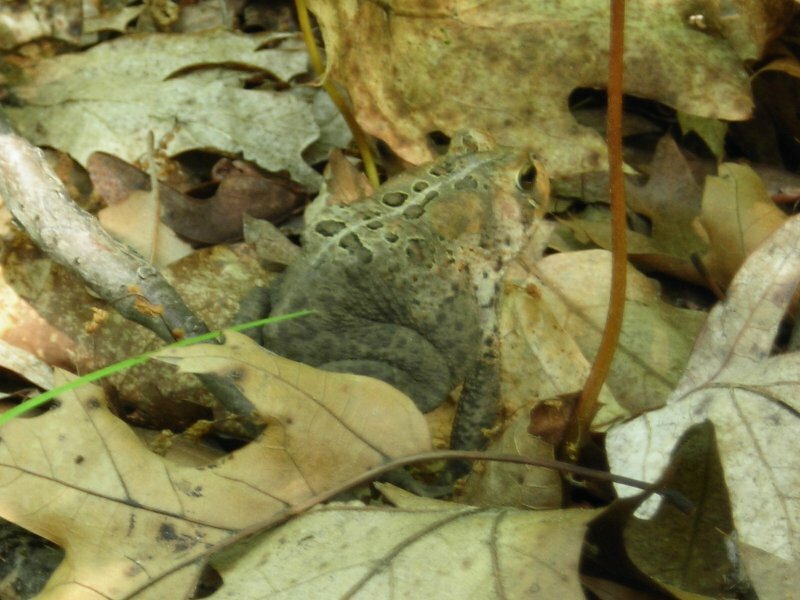 Mr. Toad was quite well camouflaged in the leaves alongside the trail in the shady forest. He's hopped out into the sun! 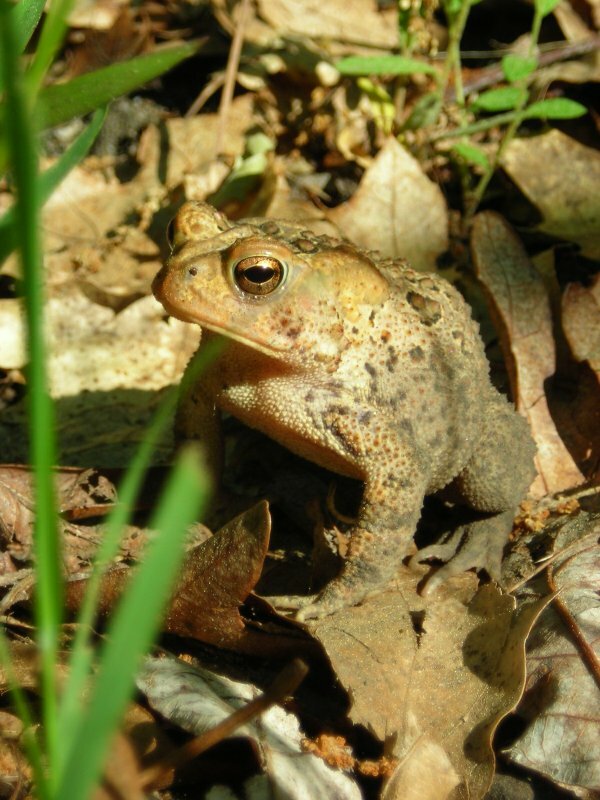 This is an American Toad, the common species of toad in the northeastern United States. Although many people think toads are ikky, they're good to have around because they eat lots of bugs! 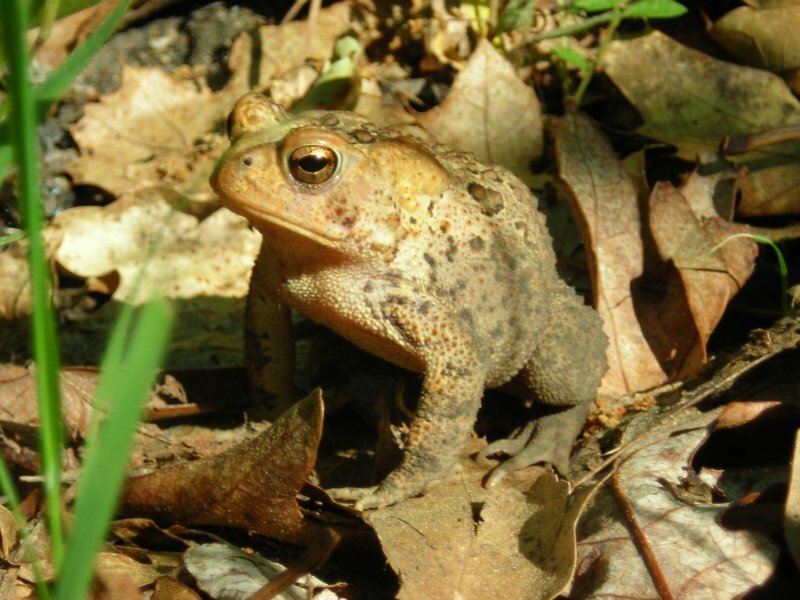 Ribbit, ribbit. Mr. Toad was being very patient in posing for photos before hopping back off into the undergrowth beside the trail.